Chop the onion, carrot, and garlic. Set the Instant Pot to "Sauté" and pour in some oil to coat the bottom. Add the onions, carrots and garlic and cook until the onions are translucent. Chop the habanero peppers in halves, and remove the seeds. Add to the pot. Add the vinegar, water, xanthan gum, and salt, then stir everything together. Set the Instant Pot to high pressure for 8 minutes. After 8 minutes, use the quick release to bring the pressure back down. Mix everything in the pot with an immersion blender. Makes 42 ounces of hot sauce. Place the sliced tomatoes on a baking sheet lined with foil, and spray with olive oil. Roast the tomatoes under a broiler until they start to bubble. Saute the onion, bell pepper and garlic in the instant pot with olive oil until the onions are translucent. Add the rest of the ingredients the Instant Pot except the tomatoes, and stir well. Pour the tomatoes on top and do not mix. This is to prevent any chance of them burning and sticking to the bottom. Cook on High Pressure for 10 minutes, allowing it to release pressure naturally. After the pressure has come down, use an immersion blender to purée the sauce until smooth. I've been putting the finishing touches on my robot that can mix cocktails over the last few weeks. 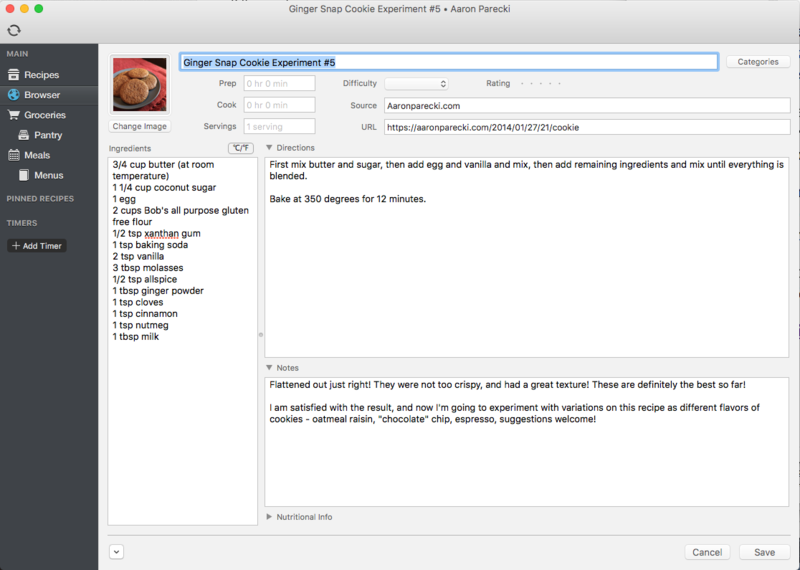 One of the last steps was to build up the recipe database for it. I knew I wanted to have some sort of Microformats h-recipe integration, but this ended up working out better than I had hoped. 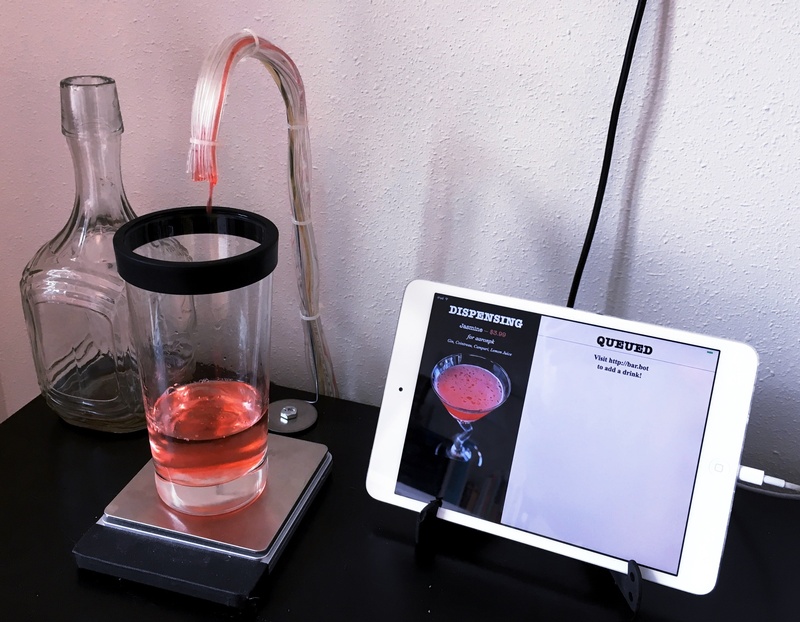 In the "Perfect Drink" iOS app, you can input the list of liquors in your cabinet, and it will show you the recipes you can make with those ingredients. 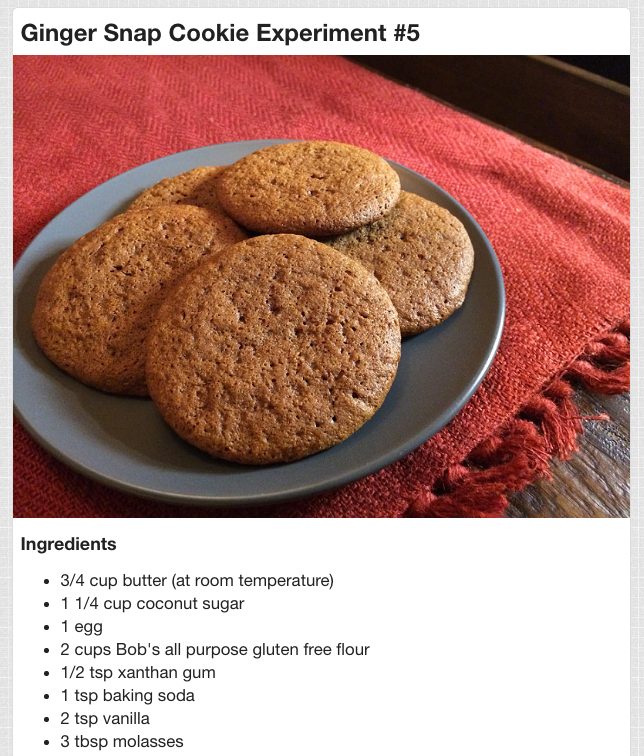 I clicked the "share" button on one of the recipes, and it shared a link to a web page with the recipe. I noticed that this web page happens to have Microformats 2 h-recipe markup in it! 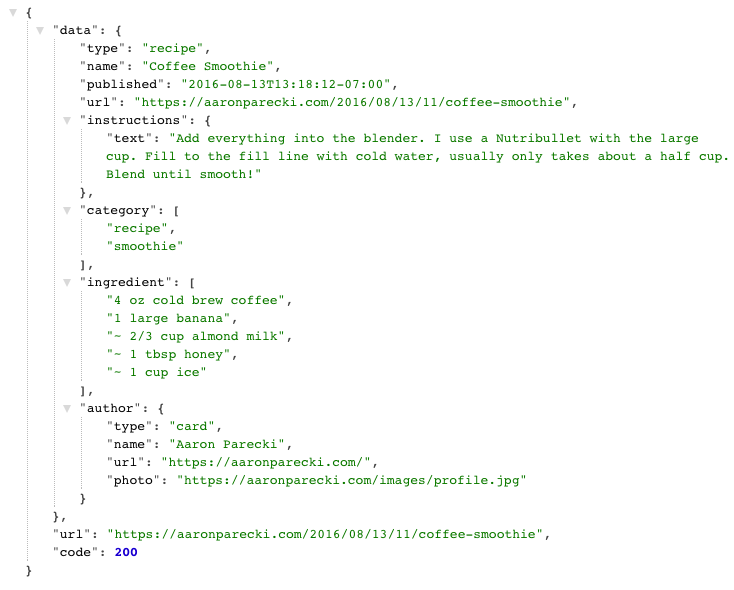 This meant I had a very quick way of getting these recipes into BarBot's recipe database, by parsing the Microformats! 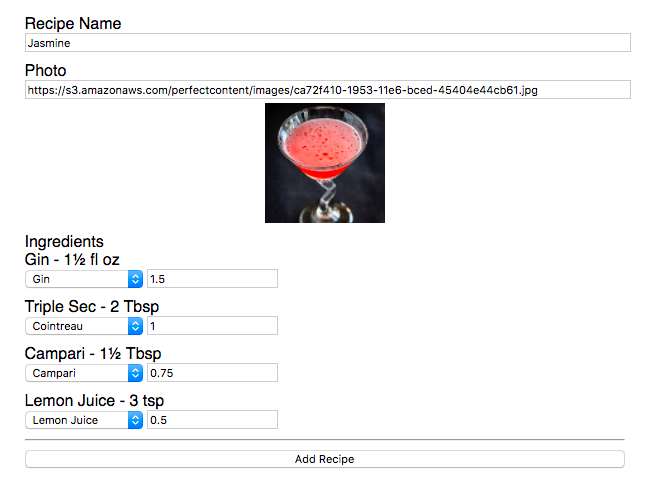 I created an interface for parsing the recipe from a URL that has h-recipe markup and mapping it to a BarBot recipe. The interface is ugly, but it works! When I want to add a recipe, the code parses the h-recipe, finds the name, photo and list of ingredients. It then presents me with an interface to map the list of ingredients in the recipe to the ingredients I have in my liquor cabinet. In this example, you can see I'm substituting Triple Sec for Cointreau. This ends up being the quickest way to add recipes to BarBot's database! XRay now supports the h-recipe vocabulary! Thanks to my refactoring yesterday, this was relatively straightforward. I did consolidate a little more of the code to be able to reuse the part that extracts HTML text. Previously it was only used for the "content" property of h-entry, and now it can be used for additional properties such as h-recipe's "instructions". Over the last couple years I've occasionally posted a recipe on my website, but I'd always just done it as a plain text post, nothing fancy. Today I updated p3k to support a new post type, h-recipe. 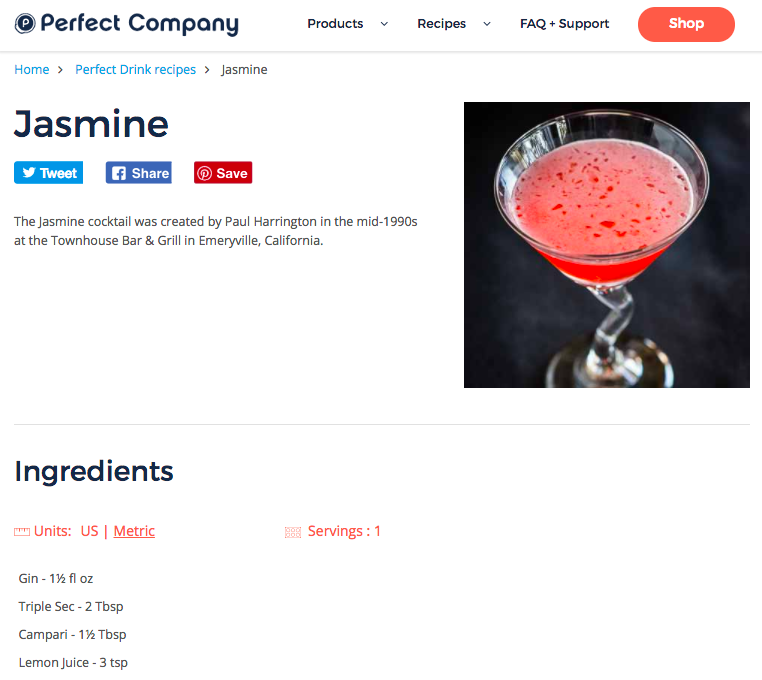 Now I can properly format and display recipes on my site! I had originally started out by just slightly modifying the HTML templates I use for all my other posts, but then realized that there were quite a few presentational differences I wanted to do and it ended up being better to start from scratch with a new template. In particular, I wanted the post's photo to appear under the name of the post and above the ingredients and instructions. This is different from my current note design where the photo appears below the note content. In addition to supporting h-recipe as the storage format and in my HTML, I also mark up the recipes with the fallback hRecipe, since that is still in use by a lot of software. This means that if you use the Paprika recipe app, you can parse my recipes into the app directly! Makes 3 pints - To can process pint jars in a water bath canner for 15 minutes"
Add everything into the blender. I use a Nutribullet with the large cup. Fill to the fill line with cold water, usually only takes about a half cup. Blend until smooth!